The T-Mobile Sidekick is back and this time, it has 4G speeds. Running on T-Mobile's HSPA+ network, the Sidekick sports a 3.5-inch display, front-facing camera, runs Android 2.2 and of course, has a full-QWERTY "pop-out" keyboard. The word "Sidekick" is a bit of a throwback in the mobile phone world: T-Mobile's line of almost-smartphones were incredibly popular a few years ago. In my opinion, Sidekicks have some of the best keyboards out there and in a world full of 4.3-inch super touchscreen phones, a smartphone with a good QWERTY keyboard is refreshing to see. Interestingly, this Sidekick is designed by Samsung. Previous generations of Sidekicks were designed by the now defunct Danger Incorporated along with Sharp. Let's hope that keyboard is as good as the previous generations. It wouldn't be a real Sidekick without some sort of cloud-based messaging service. The Sidekick 4G will come loaded with two messaging features, Group Text as well as Cloud Text. Group Text lets you create, name, manage and participate in reply-all group text messages. Cloud Text lets you message your friends or groups from multiple platforms-including PCs. 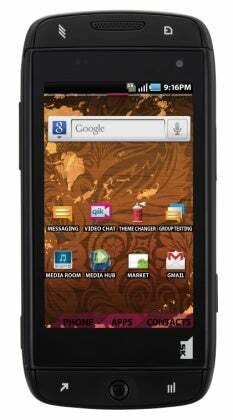 The Sidekick 4G will be available later this Spring and will come in two colors, matte black or pearl magenta. Pricing has not yet been announced.